Adderall (mixed amphetamine salts) is used by healthy normal individuals to enhance attention. Research with healthy normal participants and those with attention deficit hyperactivity disorder indicate a possible inverse relationship between attentional function and creativity. This raises the possibility that Adderall could decrease creativity in people using it for cognitive enhancement. This study was designed to find out whether Adderall impairs creativity in healthy young adults. 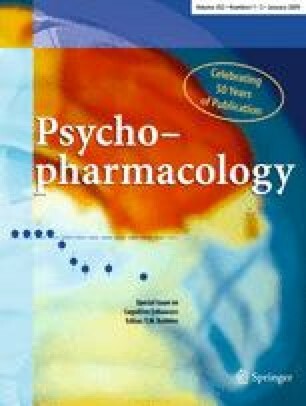 In a double-blind placebo-controlled study, the effects of Adderall on the performance of 16 healthy young adults were measured on four tests of creativity from the psychological literature: two tasks requiring divergent thought and two requiring convergent thought. Adderall affected performance on the convergent tasks only, in one case enhancing it, particularly for lower-performing individuals, and in the other case enhancing it for the lower-performing and impairing it for higher-performing individuals. The preliminary evidence is inconsistent with the hypothesis that Adderall has an overall negative effect on creativity. Its effects on divergent creative thought cannot be inferred with confidence from this study because of the ambiguity of null results. Its effects on convergent creative thought appear to be dependent on the baseline creativity of the individual. Those in the higher range of the normal distribution may be unaffected or impaired, whereas those in the lower range of the normal distribution experience enhancement. This research was supported by ONR grant N000140710034 and NIH grants R01-HD043078 and R01-HD055689. The authors thank Geoff Aguirre for serving as medical monitor for this study and Trevor Robbins and two anonymous reviewers for helpful comments on an earlier draft of this article.